"IT'S A GREAT TIME TO BUY THE vacation home ….."
You are here: Home / From Curtis / "IT'S A GREAT TIME TO BUY THE vacation home ….."
This was the beginning of the first sentence in a Forbes.com June 16, 2008 article by Deborah Orr that caught my eye. 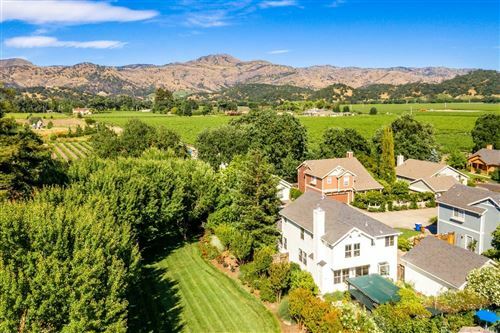 Not only have I been looking for a vacation home of my own to purchase, but this is the motivation for approximately one third of the buyers I deal with, selling property here in the Napa Valley. 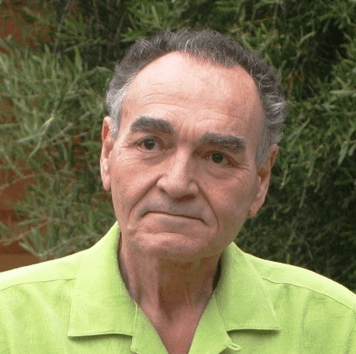 As I read on, not only did this article list five areas throughout the country it liked, but it gave some great advice for avoiding some of the pitfalls we all face in buying a vacation home. It gave new light for staying clear of some areas such as Phoenix-Mesa-Scottsdale and parts of Florida where prices were predicted to fall another 20%. 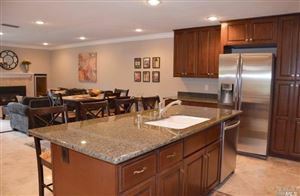 Also, the article gave new thoughts before purchasing property which previously may have been very attractive. Just reading some of the warning paragraph titles gave me pause and made me rethink my plans: "AVOIDING GOLF SUBDIVISIONS, THINK LIKE A BOOMER, CONSIDER THE COMMUTE, GO FOR SLOW GROWTH, WATCH WATER LEVELS, PLAY VULTURE WITH CARE". 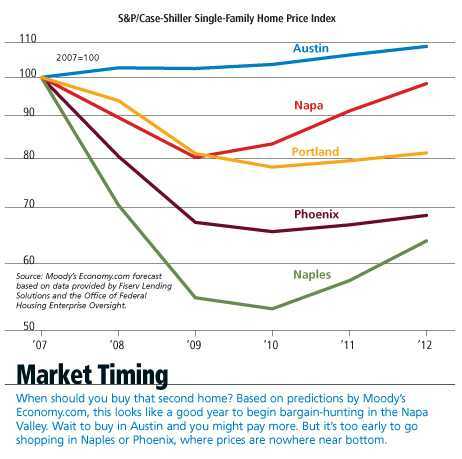 The Napa Valley was at the top of the five areas recommended which "looks like a good year to begin bargain-hunting" based upon Moody’s Economy.com "Market Timing" forecast graph, below from the Orr article. Yes, prices have fallen here but seemed to have stabilized some. 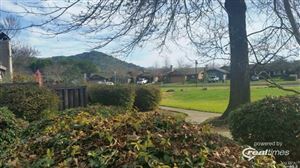 Granted, there is no guarantee we may not go a bit lower, but as the article stated, now may be the time to start bargain-hunting and always remember, the Napa Valley is truly an unique enclave. Even if prices did dip a little more, they have always recovered and one thing to consider while you wait for them to appreciate, this is a great place to live.